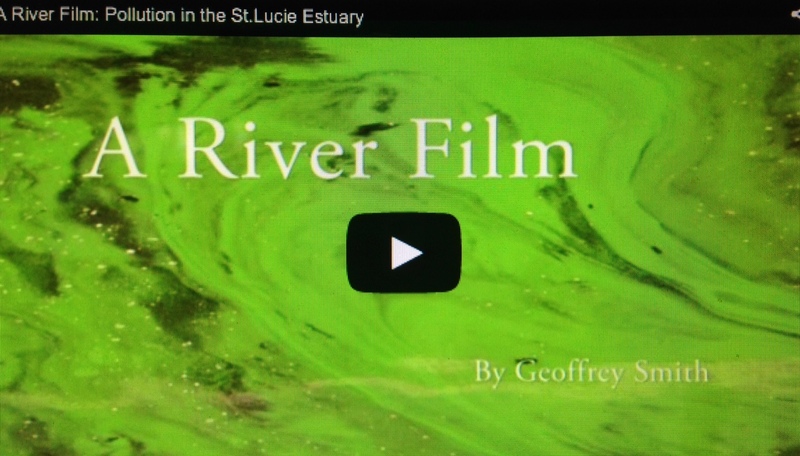 Cover of video by Geoffrey Smith Jr. See link or image below to access video. 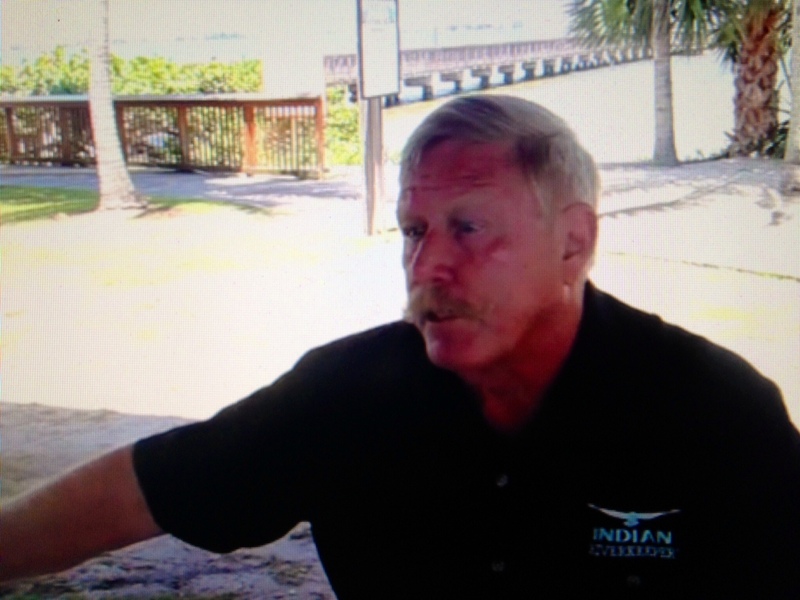 The most rewarding part of my St Lucie River/Indian River Lagoon journey is working with young people. 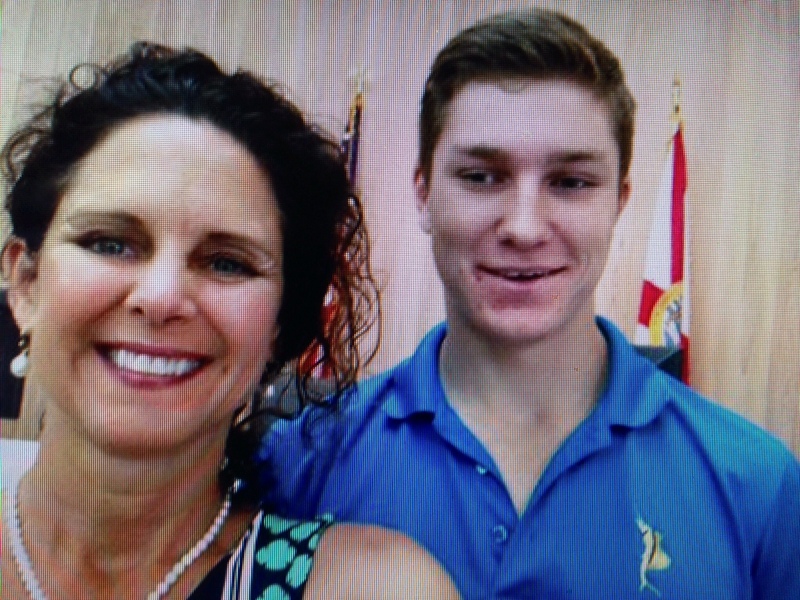 Today I share a video created by Geoffrey Smith Jr., a graduating senior at the Pine School in Hobe Sound. 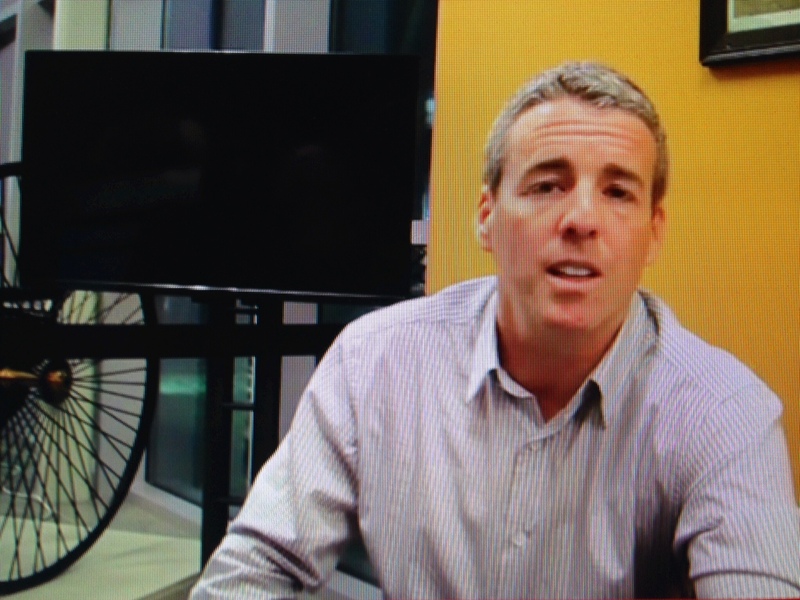 Many of you may have viewed this video on Facebook as it has been a big hit and already has over 500 views, but in case you are not the “Facebook type, “today, I am sharing it through my blog. 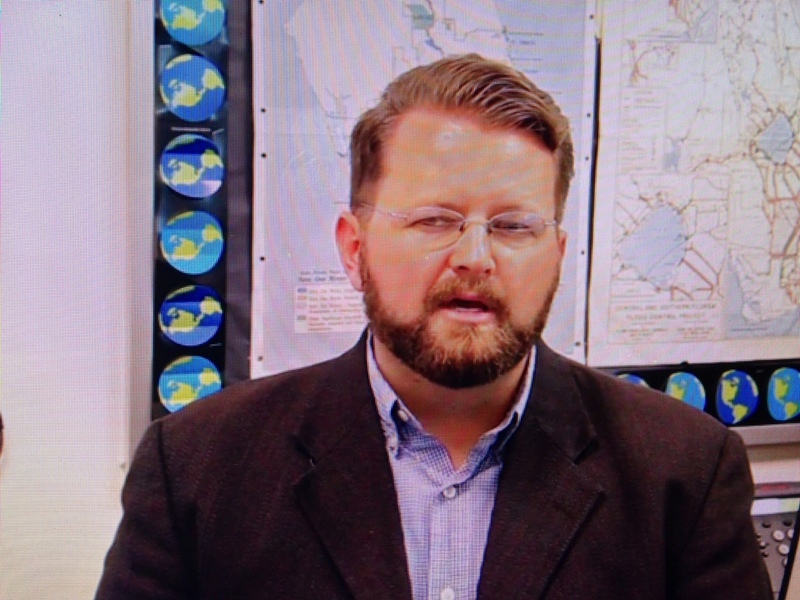 The video production is part of Geoffrey’s Capstone Project for graduation. “Shine the light, and the people will find their way…. “Thank you Geoffrey for shining the light, may we all find our way, good luck with graduation this week, and we all look forward to seeing more of your work in the future! Geoffrey Smith and I at Town Hall during interview. Geoffrey is a senior at the Pine School. 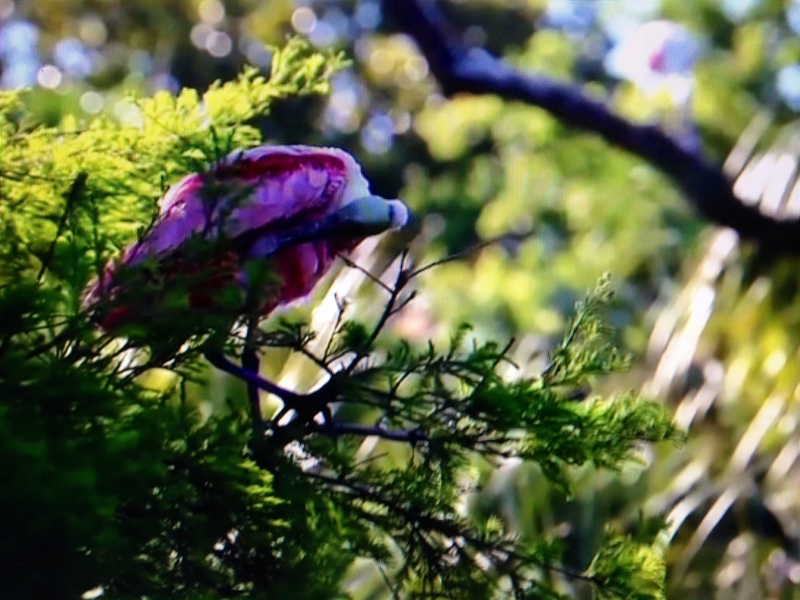 Roseate Spoonbill…according to Florida Audubon, since the early 1900s, the bird population of Florida’s Everglades is down 95% due to the over-drainage of South Florida and the agriculture and development of the state. 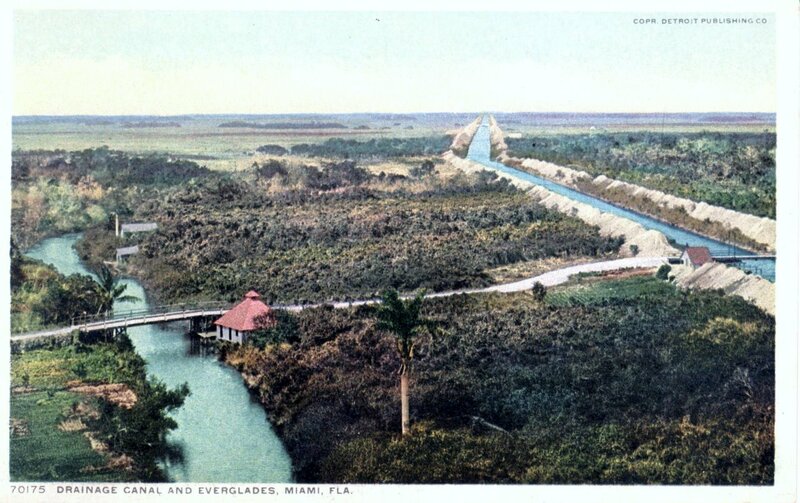 Rare historic 1913 postcard is titled: “Drainage canal and Everglades, Miami.” Courtesy of the Thurlow Collection. 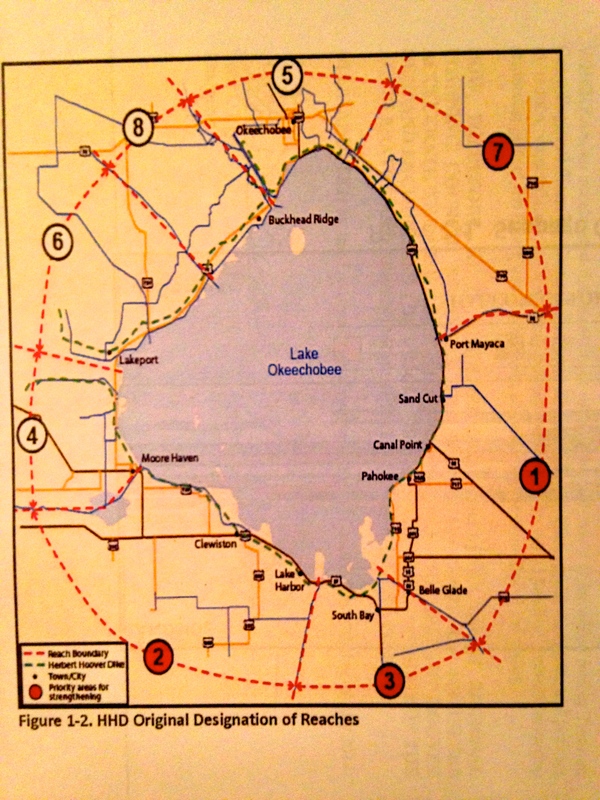 My theme this week has been “that which is south of the lake.” The big lake that is, Okeechobee–big waters. The Everglades. 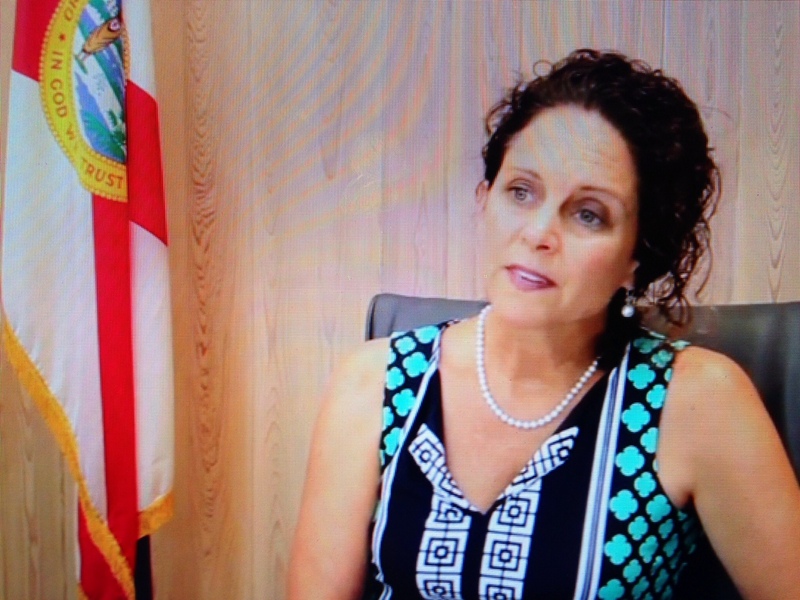 We must always keep in mind that we are all connected, and to fix our water problems with the St Lucie River /Indian River Lagoon we have to understand the rest of south Florida’s drainage system as well. Last night my mother sent me the fabulous colorized historic 1913 post card above. 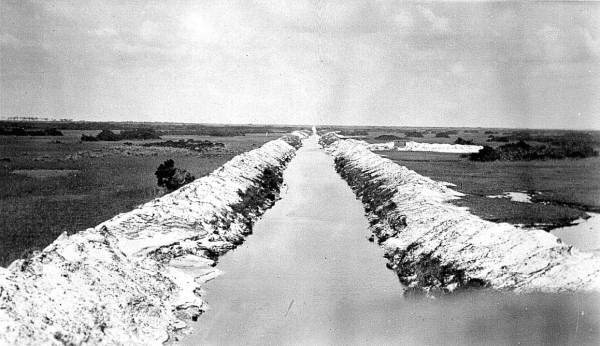 It is titled “drainage canal and the Everglades, Miami. “So idyllic. So beautiful. Except for the giant gash in the land to the right of the card that foreshadows the future we are all now living: over-drainage. 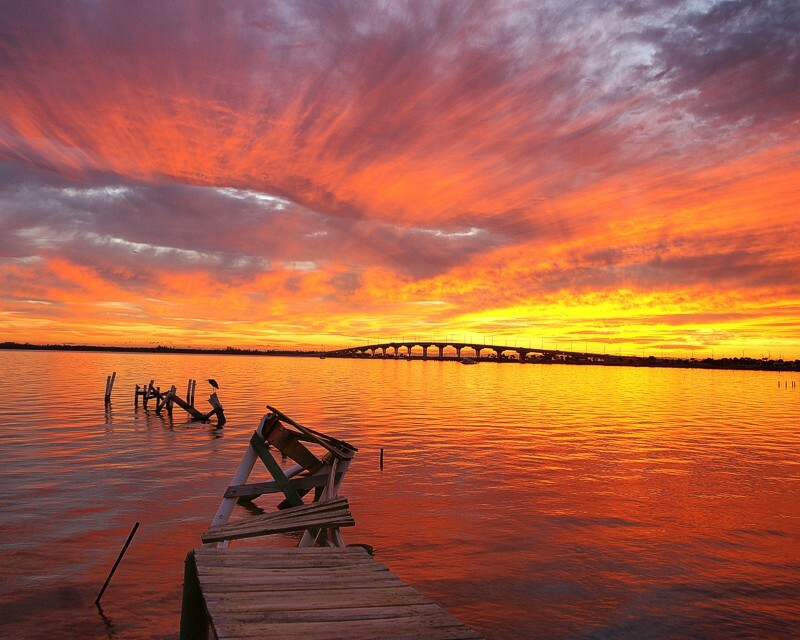 Canal ca. 1920 pubic photo, “west of Ft Lauderdale.” Gunter Herman, 1885-1972. Florida Memory Project. 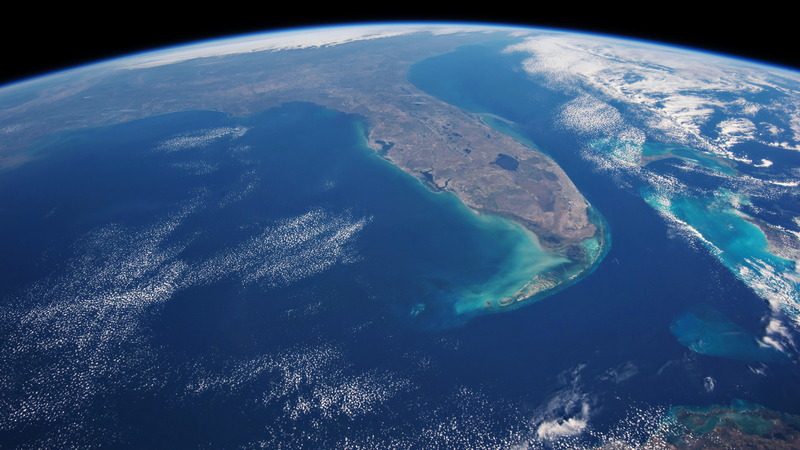 Drainage in Florida began as early as the mid 1800s and was the goal of Florida’s first government admitted to the United States on March 3, 1845. It remains the goal of our government today, as 1.7 billion gallons of fresh water a day goes to tide through south Florida canals. I must say the state may be starting to catch on. Water farmers, the “latest rage,” will tell you that we spent the last 100 years taking the water off the land, and we will spend the next 100 years putting it back on…. The last two images of this blog show the photos included from the TCRPC packet. I found it rather ironic and “civilized” sounding that the areas around the lake are named “Herbert Hoover Dike Common Consequence Zones.” I assume the consequence is that if the dike breaks, there is death and destruction of property and people. Maybe it would help if there were an outlet south of that lake to relieve some of the pressure on the dike? A flow way perhaps? 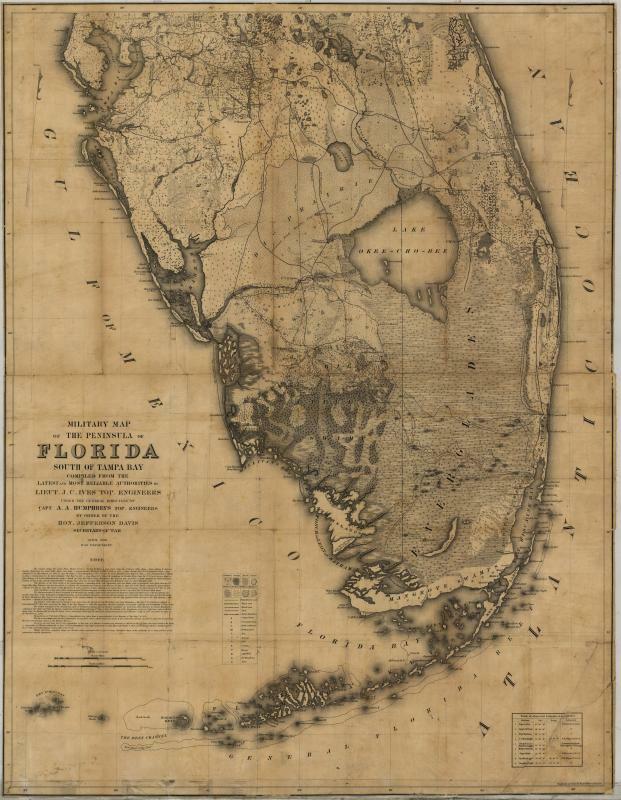 Anyway, I can’t help but wonder, looking at the 1856 Military Map of Florida, if it wouldn’t have been better to work with nature, with the lake, instead of so against it? The first video below is of the reenforcing the Herbert Hoover Dike in 2009. 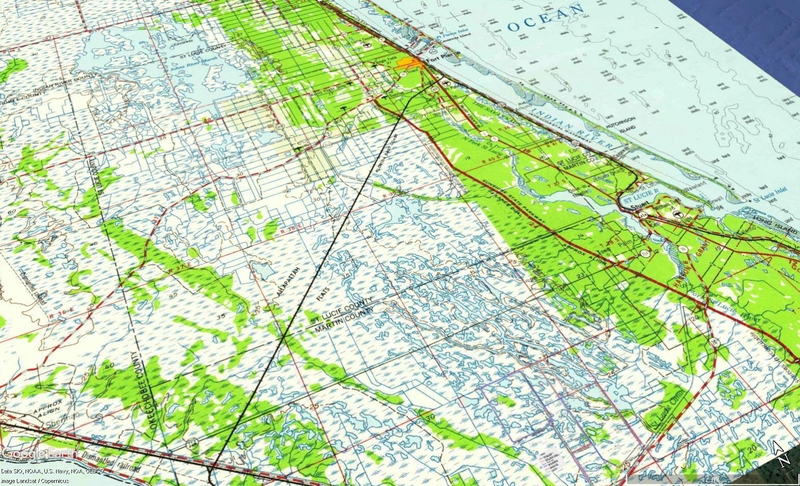 In 2005, after Hurricanes Francis and Jeanne, it was decided to reinforce basically the entire southern area of the dike as it is listed as one of the most dangerous and unstable in the United States. 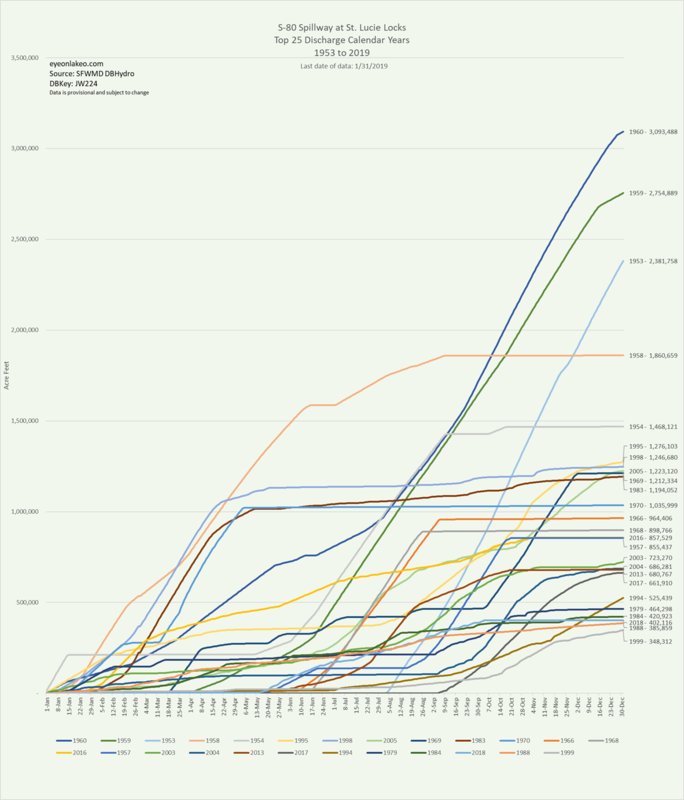 Reenforcement? I get it; nonetheless, what a crazy place to build an empire…. 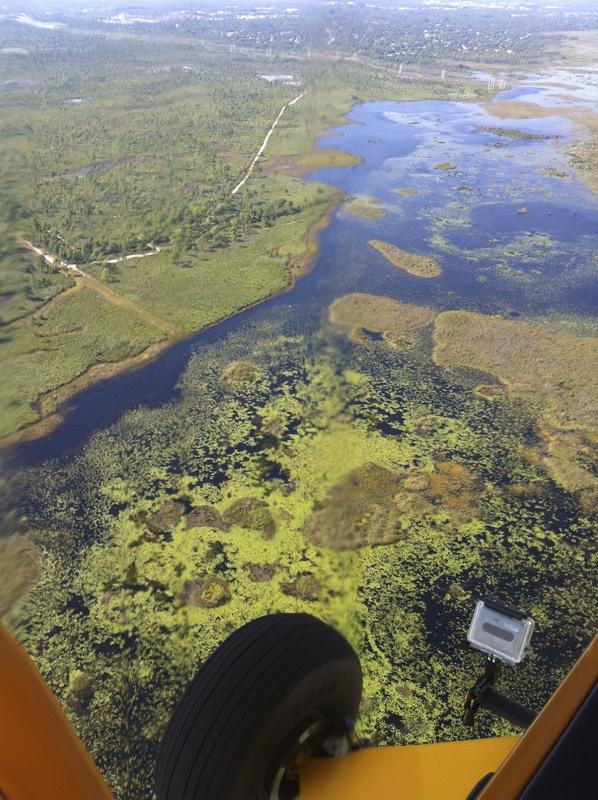 EAA below Lake Okeechobee, public image. 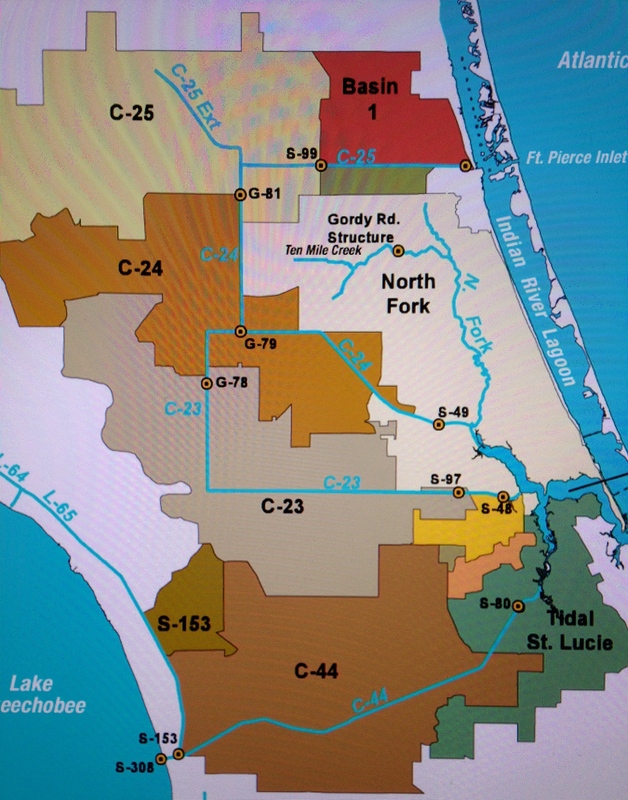 HHD “Common Consequence Zones” and Projects Area, CCZ from Belle Glade to Lake Harbor, ACOE 2015. “HHD original destination of reaches” ACOE 2015. 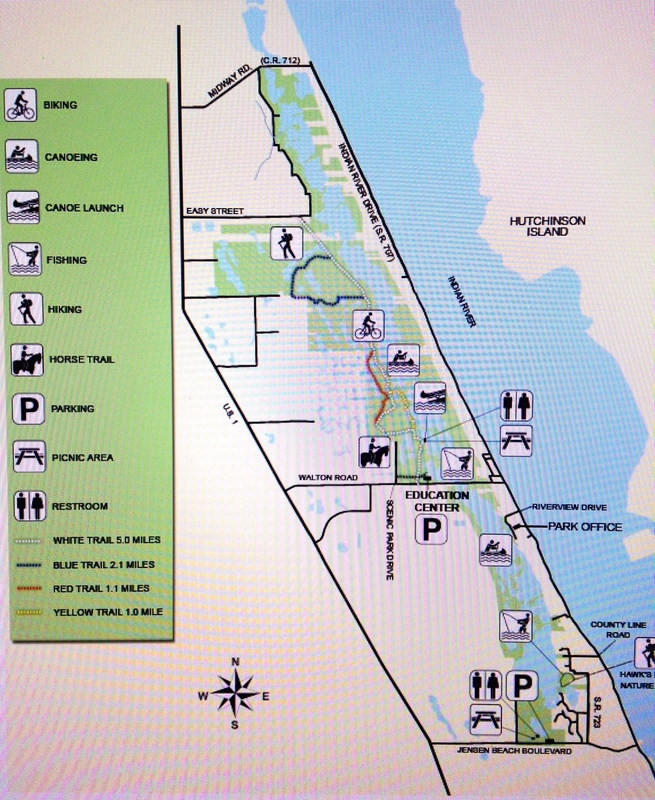 Disston instead started along the Kissimmee River and Lake Okeechobee and was the impetus and inspiration for draining south and central Florida which has led to our state’s development but also our environmental destruction. 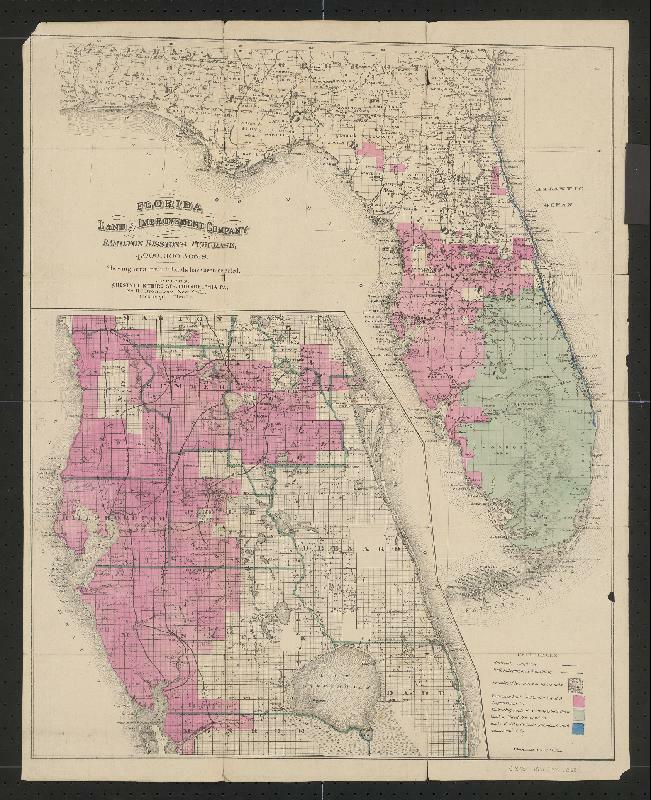 The above map shows in pink the 4,000,000 acres of land that Hamilton Disston purchased which although hard to see included much of the land within our savannas. 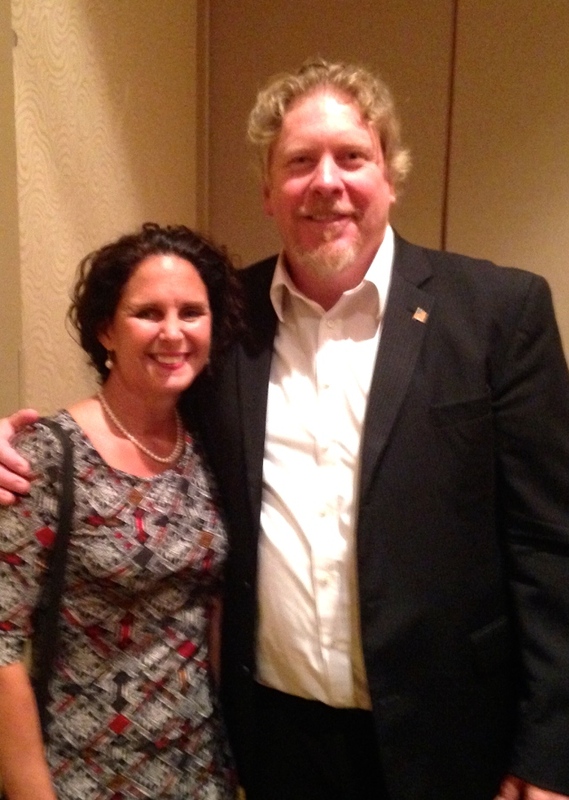 Mayor of Gulfport, Sam Henderson and I at a recent Florida League of Cities meeting, 2014. 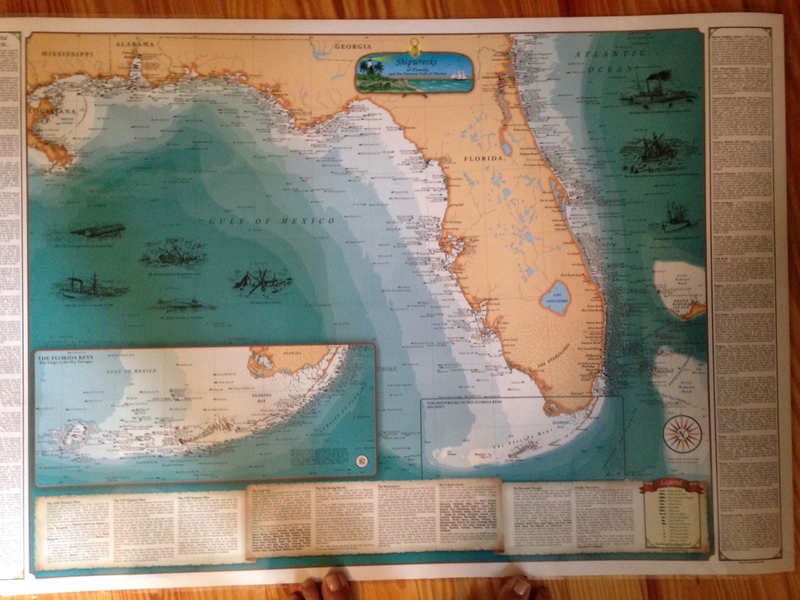 So for some reason, before my epiphany last week, I had no idea that Disston’s drainage machine went so far north beyond Tampa, to where Sam lives on the west coast, and so far east, to my home area near the savannas, along the Indian River Lagoon. You’d think I’d know such a thing! Well my mother Sandra Thurlow did know, and when I ask her about it she told me that in her book Historic Jensen and Eden on Florida’s Indian River, I could read all about the savannas ecosystem that was once almost 200 miles long and has been reduced to 10 ecologically intact miles between Ft Pierce and Jensen Beach, and how the railway running along its eastern edge ironically protected it. What if they’d drained it all…..
To close, we are fortunate that Hamilton Disston did not start draining around the SLR/IRL and that we have a small remnant of the savannas left. 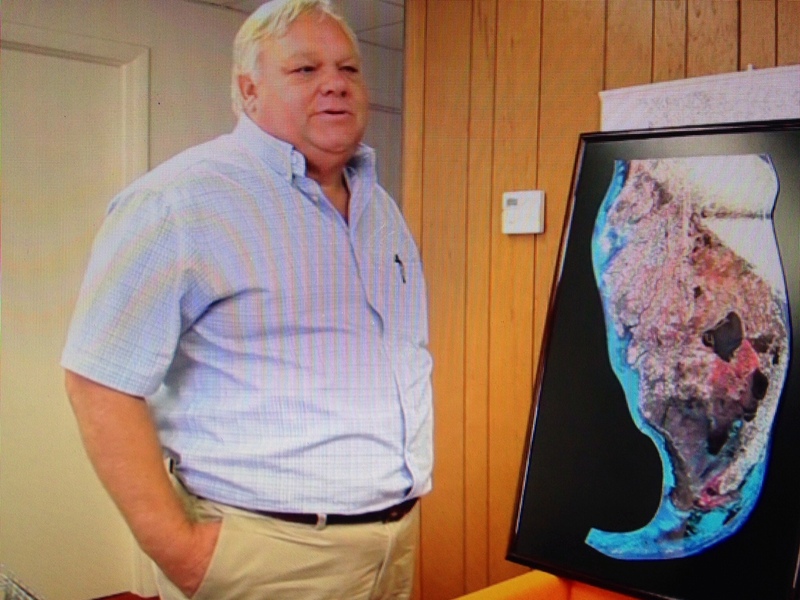 Let’s continue building friendships with other environmentally water-oriented people our across our state and put the drainage spirit of Hamilton Disston on the shelf where it belongs. Many thanks to those who worked to create Savannas State Park like former Martin County commissioner Mrs Maggie Hurchalla. 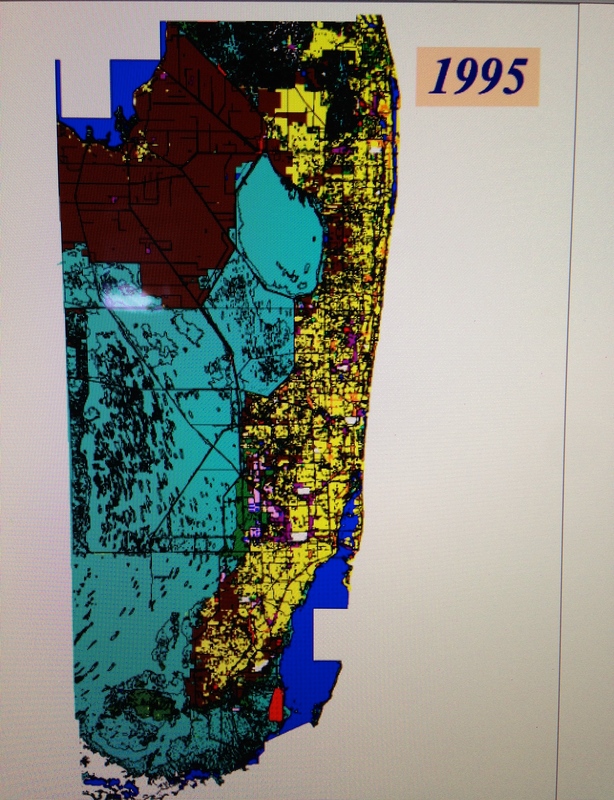 To understand the impacts on the St Lucie River/Indian River Lagoon, it is necessary to look in beyond our boarders. 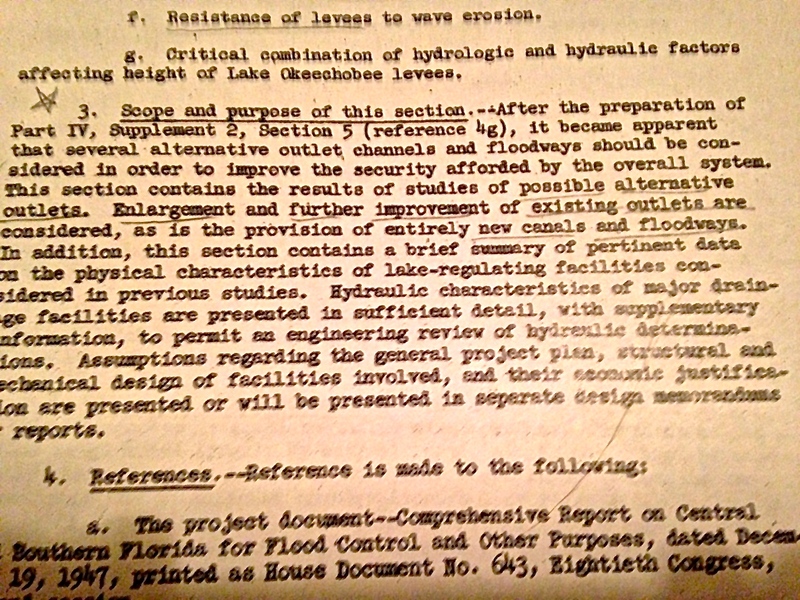 One of the most telling documents helping to explain why the St Lucie River/Indian River Lagoon is forced to take the over flow water of Lake Okeechobee (which in some years, since 1923, has been above 2,000,000 acre feet) is a document entitled “Synthesis of the Impacts of 20th Century Water Management Land Use Practices on Coastal Hydrology of South East Florida,” by Robert Renken and other scientists for the 2000 Greater Everglades Ecosystem Restoration Conference. 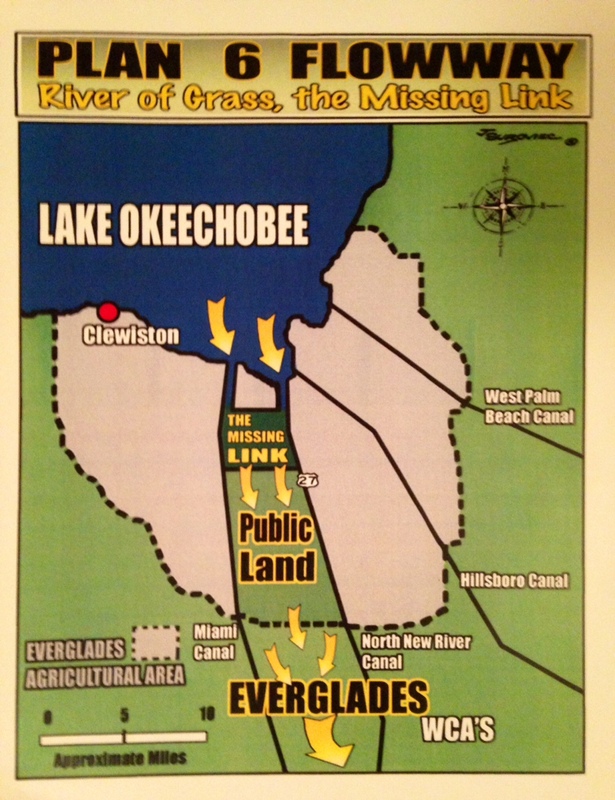 As one can see above, in 1900, Lake Okeechobee overflowed naturally to the Everglades to Florida Bay. 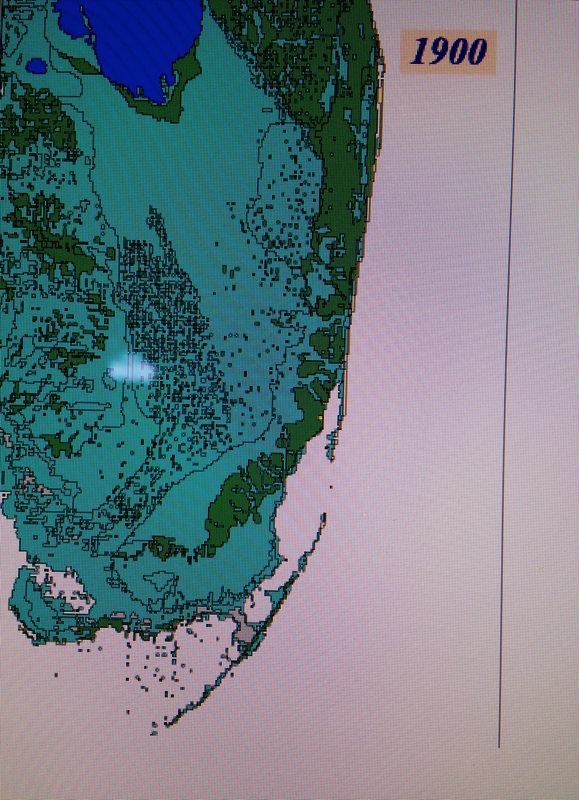 The green on the eastern coast was a Florida forest. 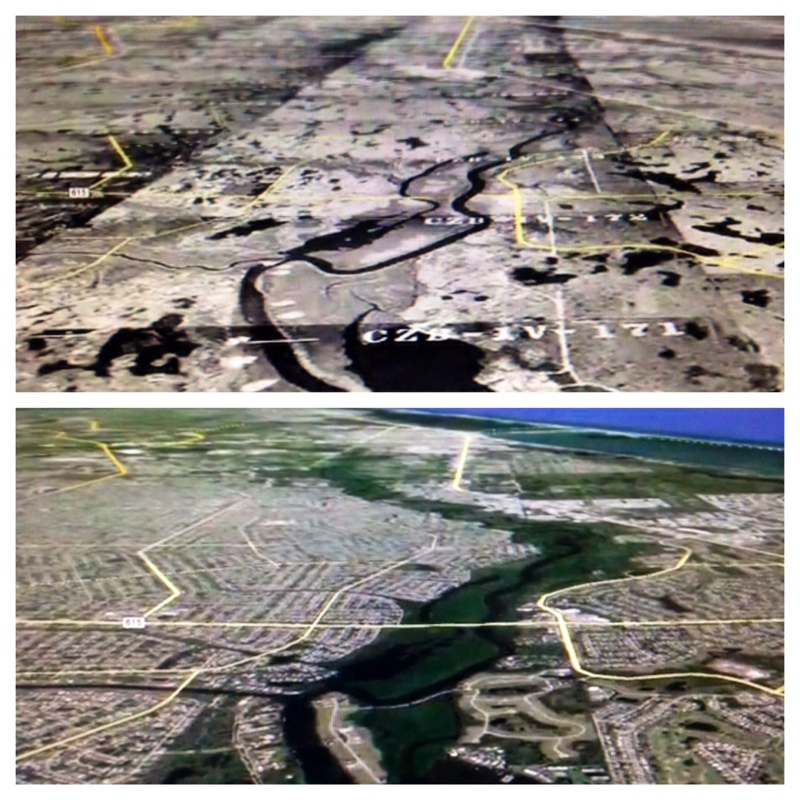 By 1953, the year after my Thurlow grandparents came to Stuart from Syracuse, New York, the Everglades Agricultural Area, (EAA), just south of the lake had caused the destructive redirection of Lake Okeechobee waters; this water was directed to the northern estuaries, the St Lucie River/Indian River Lagoon on the east, and to the Calooshatchee on the west. 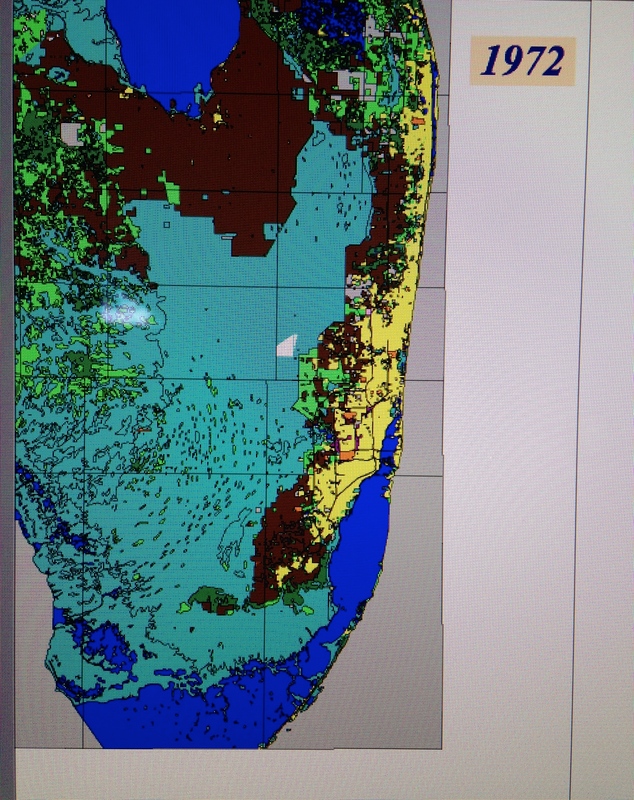 More agriculture can be seen in dark brown along the eastern coast and south to Homestead. Forests in some areas remain (green). 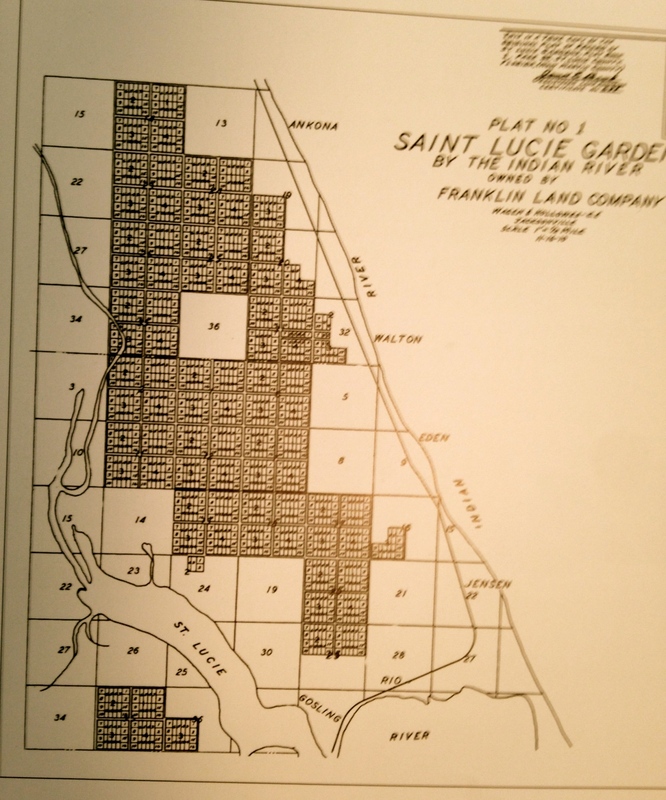 The yellow is urban development. There is some urban development but it is not extensive. 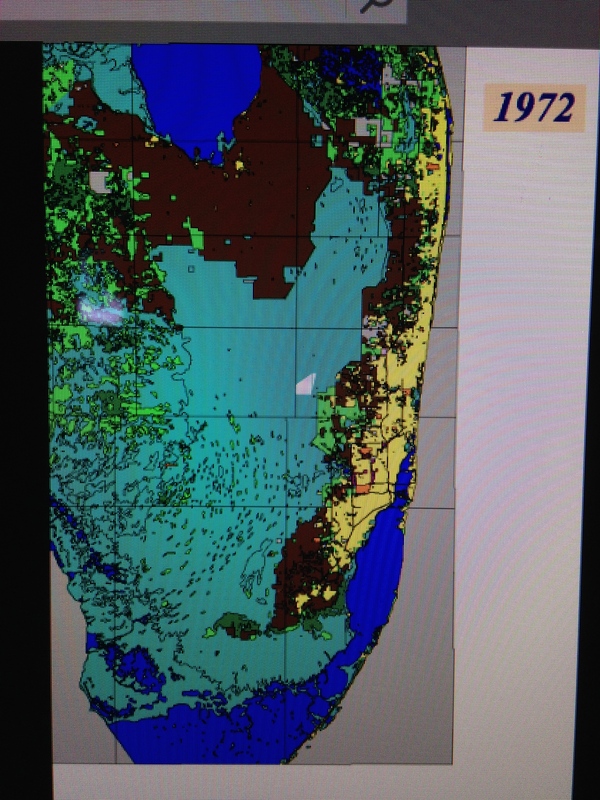 By 1972, when I was 8 years old growing up in Stuart, the Everglades Agricultural Area (EAA) now mostly sugarcane, south of Lake Okeechobee, had morphed to gigantic proportions (dark brown), agriculture had also expanded along the eastern coast, and coastal development (yellow) had grown and moved into the eastern Everglades. At the end of the day, this area is going to need more water. 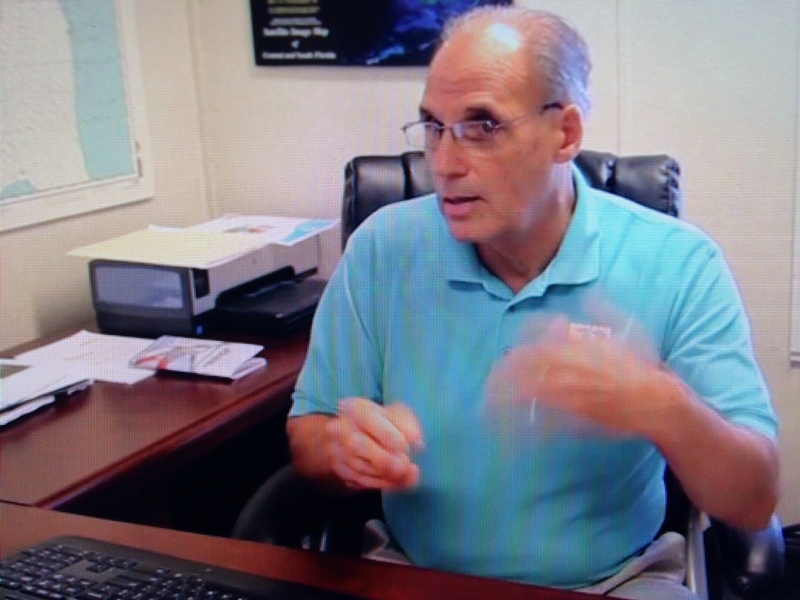 With a growing population, documented salt water intrusion, and sinking aquifer level this part of the county will not stand the test of time unless it has more fresh water. Perhaps they would reconsider re-plumbing the canals making releases to the estuaries? I hear it now, don’t you? 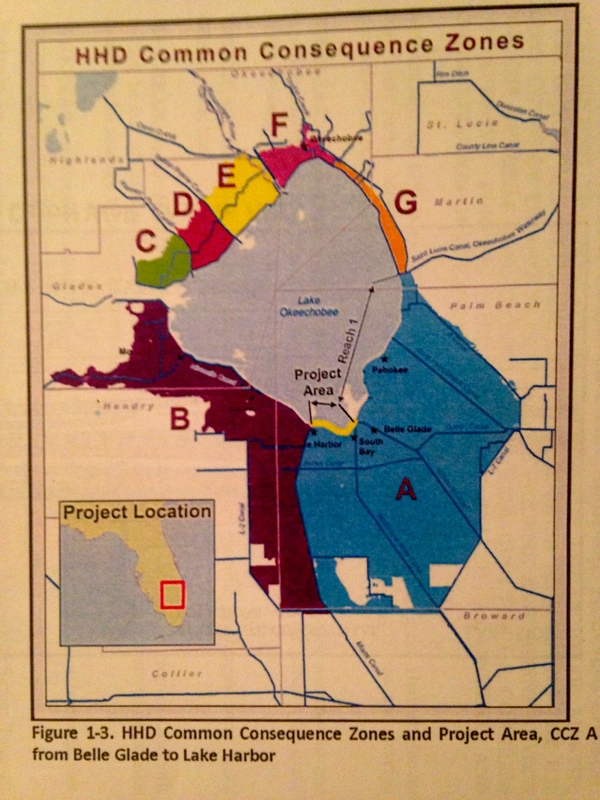 Map for the “Performance Configuration” co-authored in 2009, incorporating Plan 6 ideas for sending more water south. There is a lot of controversy surrounding the idea of “sending water south,” mostly because in order to do so privately owned lands would be taken out of sugar productivity. 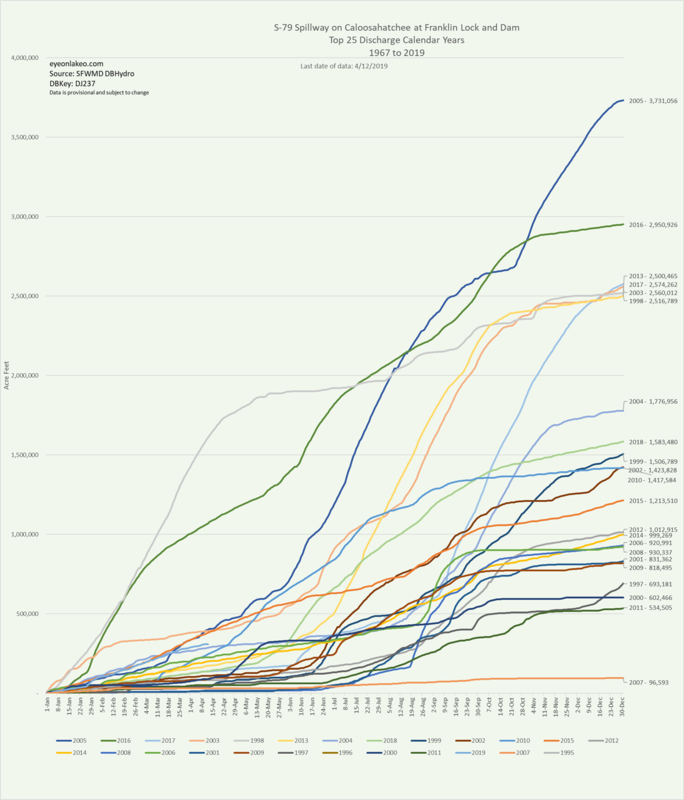 This post is meant to share some of the history of ideas over the years to do so, not debate it. 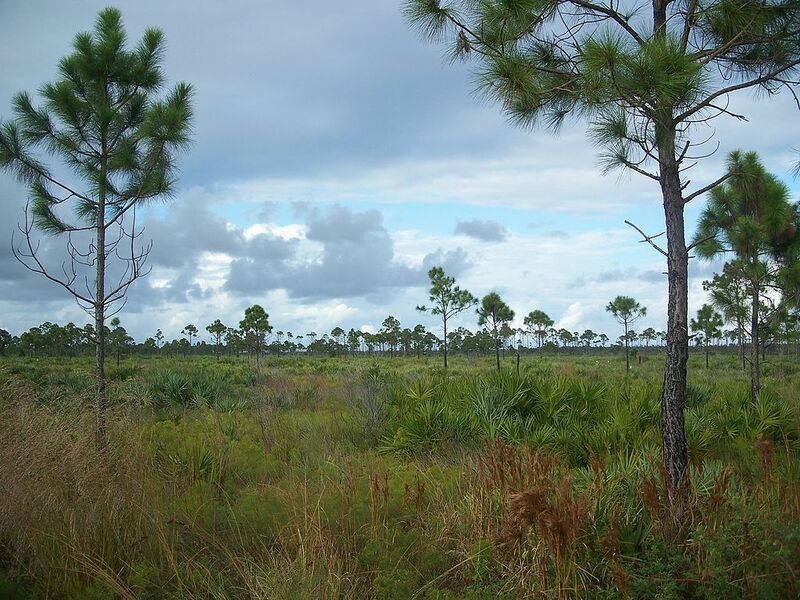 As we all know, before the lands south of Lake Okeechobee were drained for the budding agriculture industry in the late 1800s onward, when Lake Okeechobee overflowed, ever so gently its waters ran over the southern lip of the lake through a pond apple forest, creating a “river of grass” that became the Everglades. 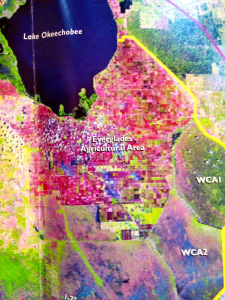 In the 1920s at the direction of Congress and the State of Florida the Army Corp of Engineers (ACOE) redirected these overflow waters that had functioned as such for thousands of years through canals C-44 to the St Lucie River and C-43 to the Caloosahatchee. 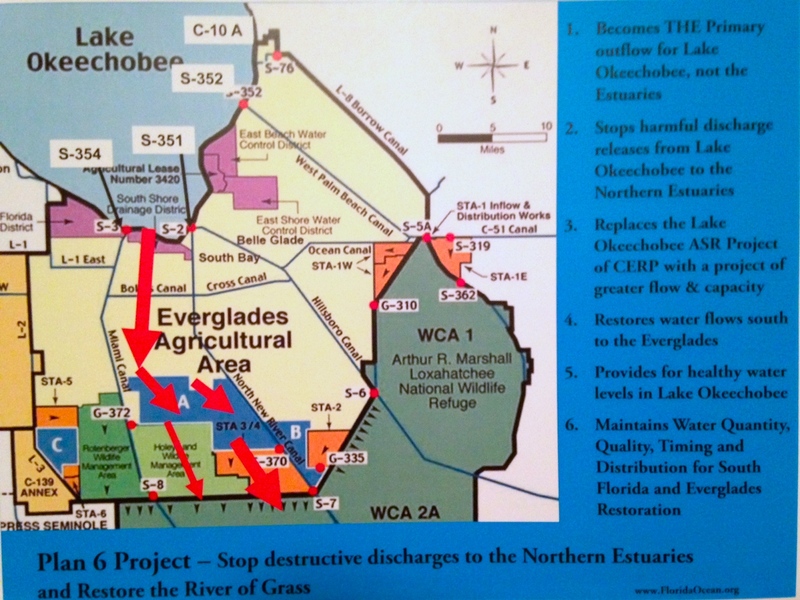 This achieved better flood control for agriculture and development but has caused an environmental disaster for the northern estuaries and for the Everglades. The environmental destruction and safety issues of the Herbert Hoover Dike were noted early on. 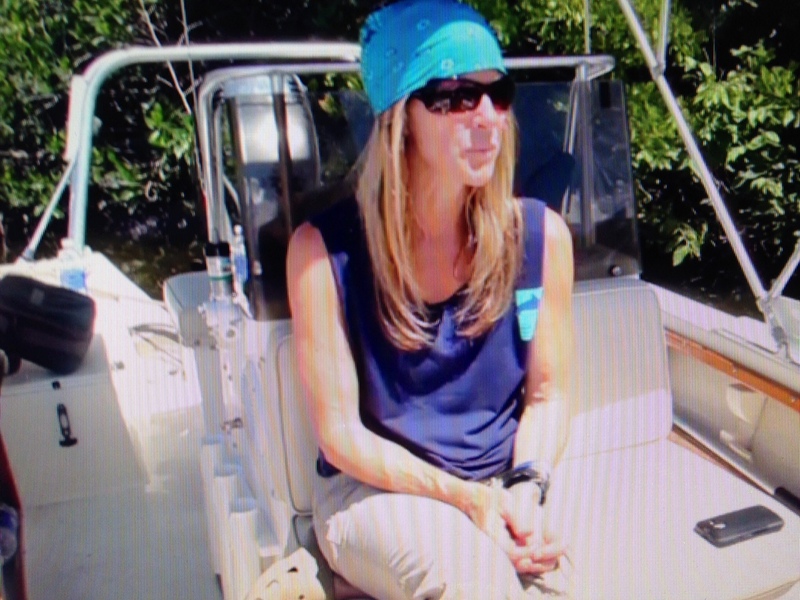 As far as the destruction of a local industry, the fishing industry in the St Lucie River was the poster child. This and many other reasons caused many people over the years to seeks “improvements,” to the overall ecological system. Photos taken of 1955 ACOE CSFP Report courtesy of Dr Gary Goforth. 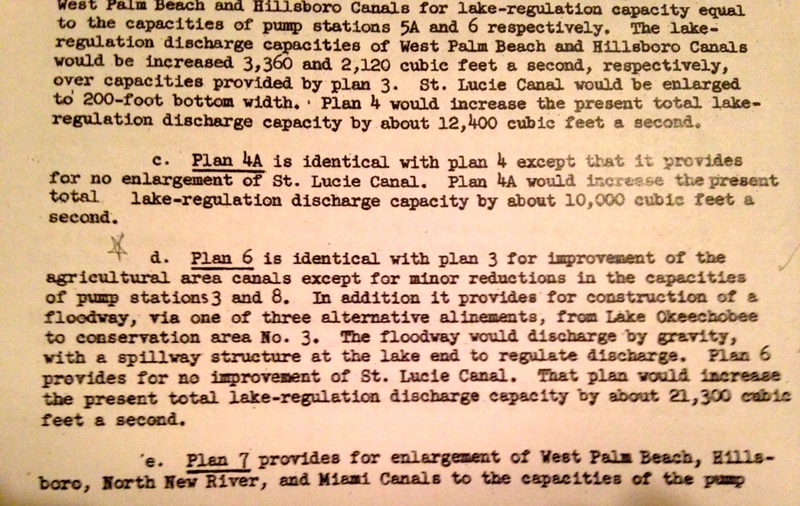 Various references to Plan 6 and a floodway. Dr Goforth also notes a “more robust plan,”a plan co-authored in 2009 by Karl Wickstrum, Paul Gray, Maggy Hurchalla, Tom Van Lent, Mark Oncavgne, Cynthia Interlandi, and Jennifer Nelson. (See first photo in this blog.) 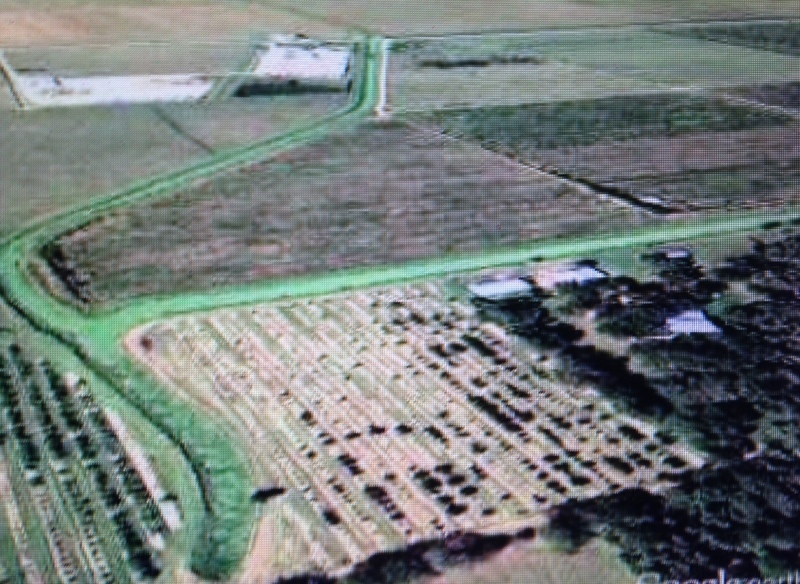 This plan is referenced by Mark Perry in his well known “River of Grass” presentation. 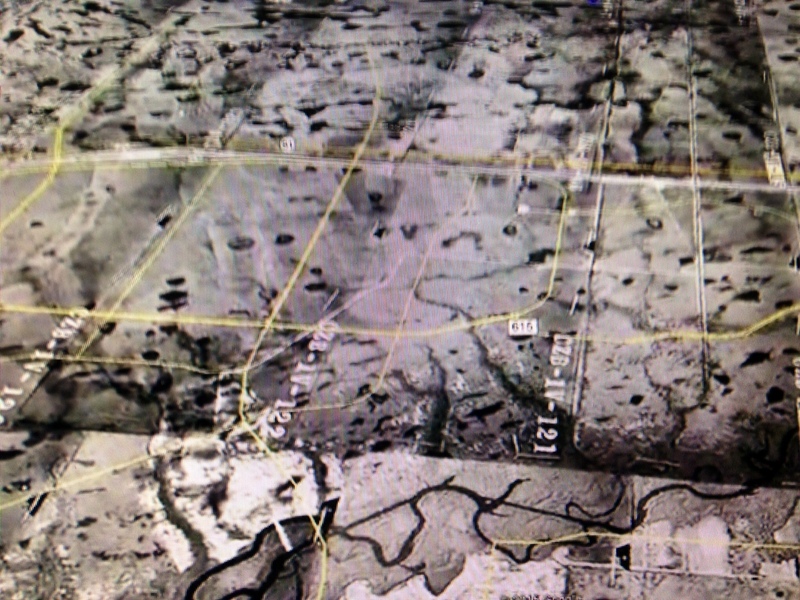 Mark Perry’s drawing in his presentation for “River of Grass,”used today, 2014. 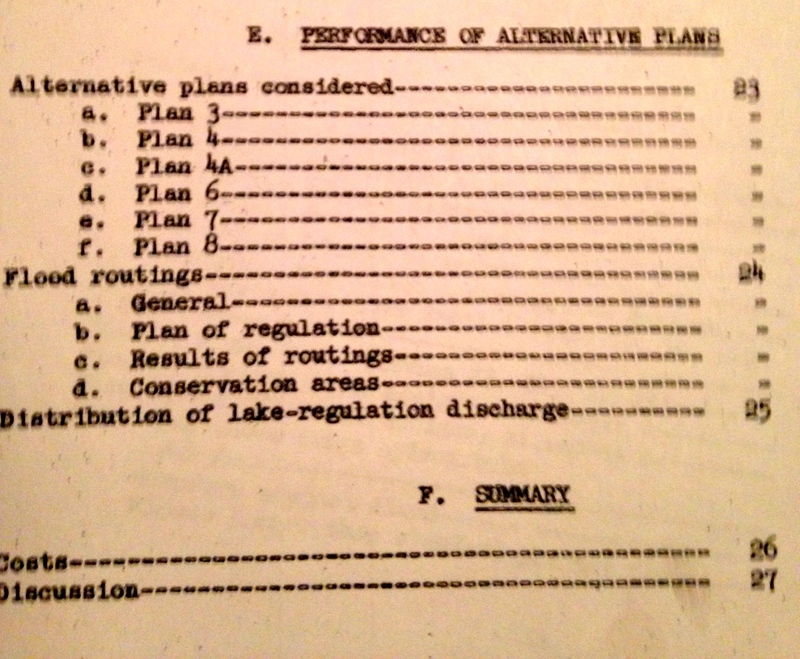 The Art Marshal Foundation (Art was one of the great conservationist of the early 1960/70s environmental movement and has a wildlife preserve named after him) also notes in their literature that Plan 6 is traceable to the Marshall Plan-1981. 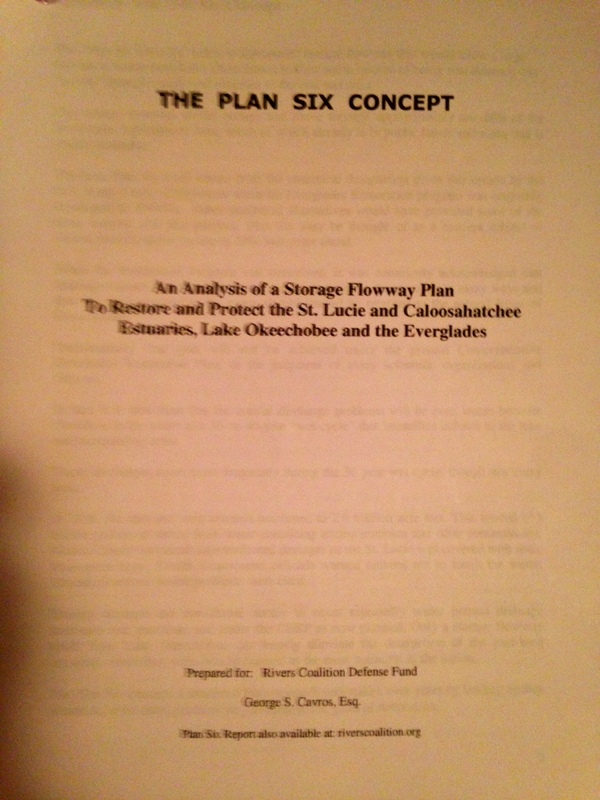 “Marshall Plan 1981 to Repair the Everglades, Why Plan 6 Will Work.” Marshall Foundation publication 2013, Version 2.2. You can learn more about this version of the plan by clicking on the above link. All of these plans, I believe, are one way or another based upon the 1955 ACOE Report. it may not have come to fruition but it certainly provided a lot of inspiration! Also last year, Senator Joe Negron was able to secure $250,000 for a University of Florida study that should occur in 2014 for “Sending more water south.” Wonder what their plan will recommend?